You can link your account to social networks' online services and app stores whenever you want. This will help you to save your game progress and restore it if necessary. You can link your account to Facebook, Google Play/Game Center in order to save and keep your account and have the ability to run the application with your game progress on any device. Also, when you link your account to Facebook, you get 1,000 Technology Points as a bonus for Base development. Important! 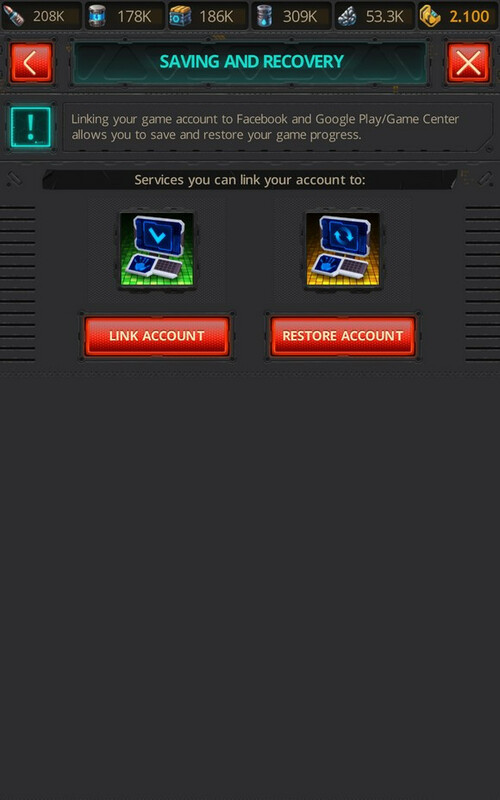 We strongly recommend that you link your account to at least two services so you don’t lose access to your game data in the event of careless actions when replacing or linking other accounts.